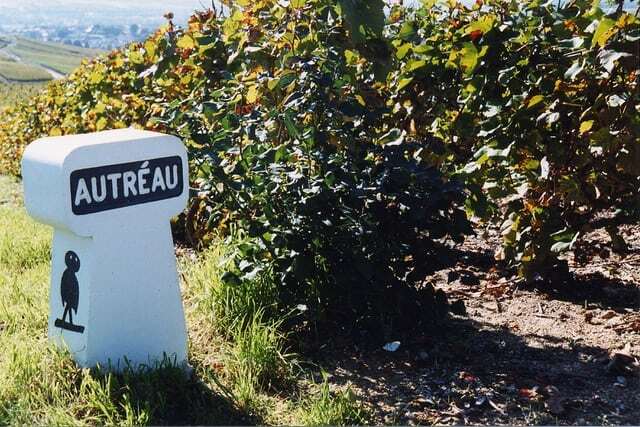 Autréau is the product of generations of passionate Champagne producers aiming to create world class Champagne. For a long time, they only sold grapes to producers. 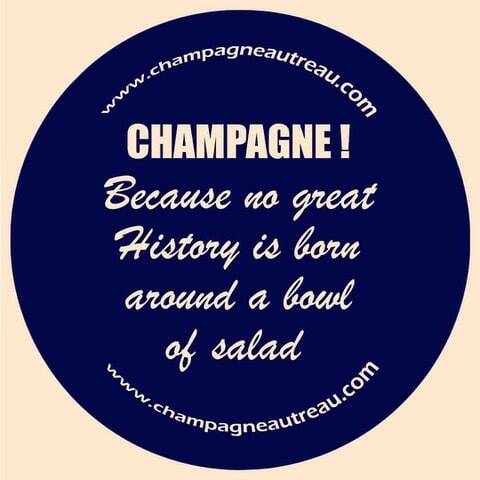 In 1950, Gerard Autreau started production of Champagne from his own grapes. 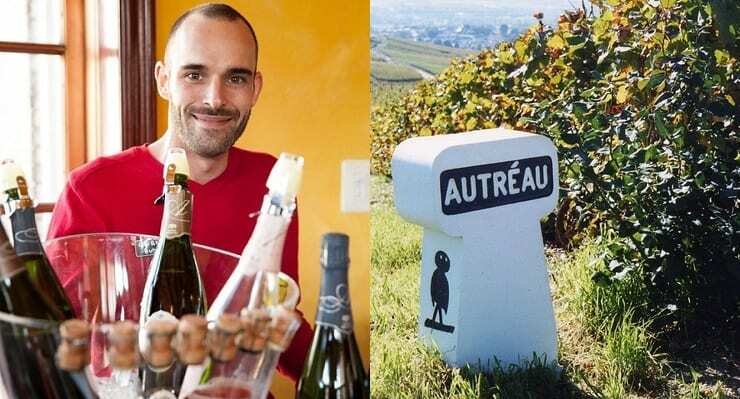 It was then taken over in 1980 by his son Eric and since 2010, current generation Laurent Autreau has joined in to take charge of winemaking and also wine marketing. Poised, confident and charming with a highly infectious smile, he is definitely the face of a modern generation of Champagne producers transforming an otherwise traditionally serious product into one with a contemporary and engaging appeal. 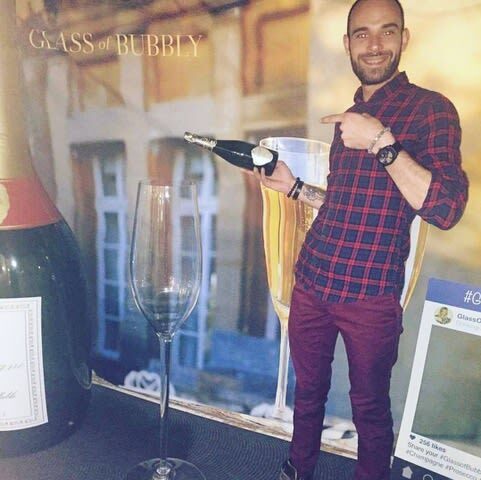 I met Laurent recently at the Glass of Bubbly Awards and it was heart-warming to see the pride and passion for his family Champagne and love for his profession, as is clearly displayed through the imposing grape packed tattoo running across his arm displaying In Vino Veritas, something very close to his heart. 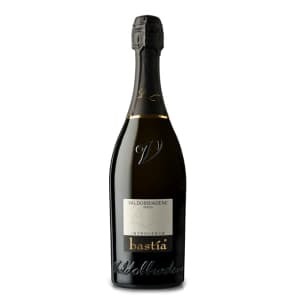 His Champagnes are exactly like how he and the Family Autréau seek to exhibit – classy yet robust and convivial! 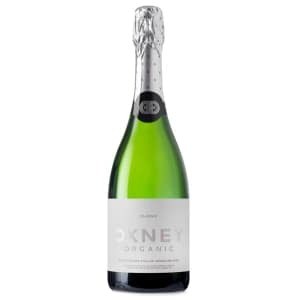 Their wine, Prestige Cuvée Les Perles de la Dhuy Grand Cru Vintage 2011 won Gold Medal in the Vintage category at The World’s Finest Glass of Bubbly Awards in 2017. 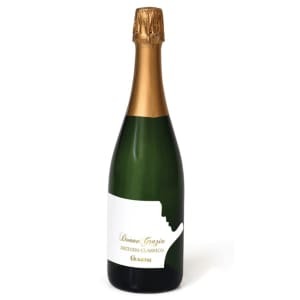 With a production of 750,000 bottles a year, their focus is on sustainability and building diversity through their varied styles of Champagne, produced from grapes across their 35 ha of owned and contracted vineyards ranging from the Premier Crus- Champillon, Dizzy and Hautvilliers to Grand Cru grapes from Aÿ and Chouilly. 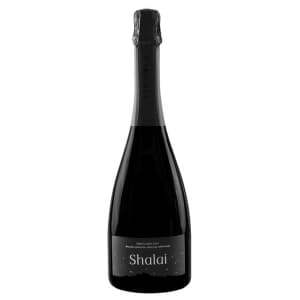 SUMI: You have such a rich history of Champagne making in your family. How has growing up been for you in this tremendously Champagne heavy background? LAURENT: I am the 8th generation member working in our family business. Until my 5th generation, we only sold grapes to the big houses. 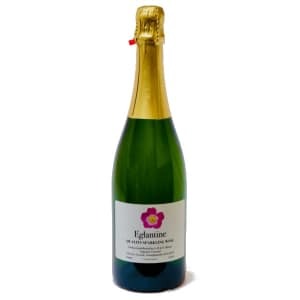 During the early decades of the 1900s, only a few negociants were big enough to produce and sell their own Champagne. It is my grandfather who took up the job of starting production of Champagne after the 2nd world war, with around 3 hectares of vineyards. Today we work on 35 hectares and we produce 800 000 bottles per year. As for me, I can say like Obelix “I fell into it as a child”! When I was young, if I was not at the school, I was at the winery with my father and grandfather. Seeing hundreds of thousands of bottles of Champagne every day was completely normal to me. Ten years later things started taking shape. 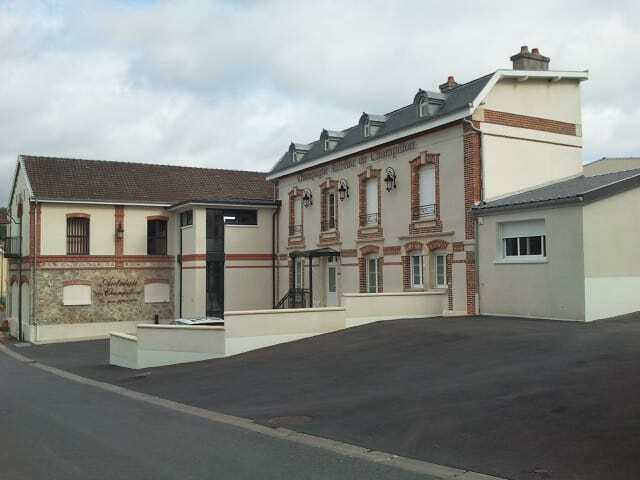 I took up formally learning about the job of a winegrower and winemaker in a specialized school in Avize in Champagne where I had my first internship in the vines and in the cellars. After this first diploma, I did a 2 years stint working in the trade, marketing wines. Followed by a few months in the South-West of France, near Perpignan in a very big winery (producing nearly 15 million bottles a year) that gave me a lot of experience on the production side. After this, I joined back full on into our family business from August 2010. The first two years were intensive, working in the vines and in the cellars to increase my acquired knowledge from the school and to put into practice all that I had learnt through my different internships. I can confidently say all this experience has helped me reach where I am today. Currently, I am the acting head of the company with my father and manage all the export sales and the marketing. What I can say is that initially, it was not easy, because you have to learn a lot of things about management, financial strategy, marketing and sales strategy in a very short period of time. It is not all about production. We know what time we have to wake up in the morning, but we never know what time we can go to sleep. We are very dependent on the weather, so we have to organize the schedule with it and sometimes this is not easy, I can vouch for that. We work not just every day to fulfil orders and meet production, regulations and logistics budget, but also every weekend to receive the customers at the winery. The only way people can enjoy this role is to be born here and you must have the passion for wine to do this job all day long, all life long (for me the passion is inked on my skin, you will see in my tattoo…. (that he displays with great joy and pride). So, I can say it’s a fantastic job if and when you love it!! I also want to mention that I never work, I always have fun!! And I definitely could not do another job!! When people come to Champagne, they are happy to be there, happy to be with friends or family and they are here to relax and enjoy! That’s why I always say that we don’t just sell wine, we sell happiness and conviviality because the wine is made to share with people and to share love amongst close ones. SUMI: That is lovely! So, since you joined what changes have been brought about in the winery, marketing commercial and strategic side of your business? LAURENT: My first job was to change and modernize the packaging and bottles design because when I came back in the family business. As you can imagine, the labels were as old as me…(laughing!). I have also worked hard to develop export sales especially to USA, Asia, Australia, Thailand, Scandinavia. And most recently, we have worked towards obtaining 2 new certifications for the winery, the first one is Sustainable Viticulture and the second one is H.E.V. (High Environmental Value). It has not been easy, but we wish to demonstrate through our actions that we are very keen and focused on a sustainable future! SUMI: You have achieved so much in a short period of time. 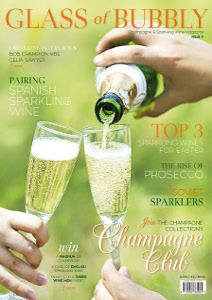 Do you see many young Champagne producers keen to take up the role? LAURENT: I would not say ‘many’, but I do know some young winemakers such as me in Champagne that wish to continue the job of the generations before. SUMI: The next best sparkling wine after Champagne? LAURENT: This is a difficult question. 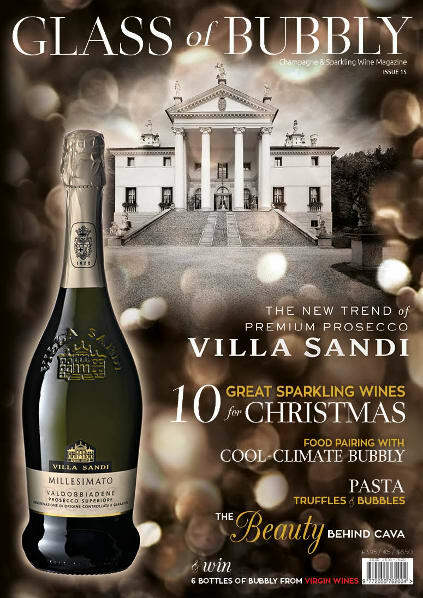 As you can imagine, I have already tasted a lot of sparkling wines from everywhere around the world. 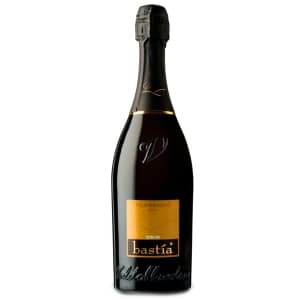 I must say that I have rarely been disappointed in tasting other sparkling wines. My opinion is that there are no bad or good wines, there are only different wines with different terroirs and weathers, different working methods and different philosophies about winemaking. SUMI: How would you describe Autréau and what is your most preferred wine of Autreau? LAURENT: I would say just two words “Tradition & Modernity” that perfectly describe Autréau’s Champagnes. Our philosophy is to respect the traditions, equally following the modern styles and technology where possible. 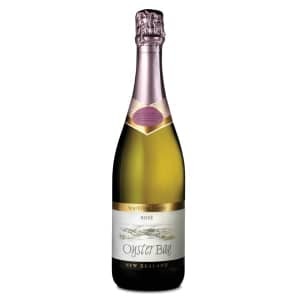 At the moment my favorite Champagne in the range is our prestige cuvée Les Perles de la Dhuy Grand Cru Vintage 2011 (Gold medal at Glass of Bubbly Awards). 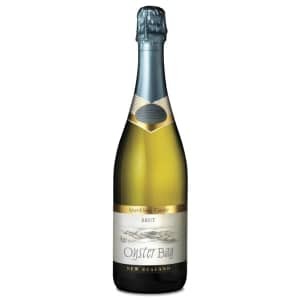 This is a blend of Chardonnay and Pinot Noir from Chouilly and Aÿ, two of the most beautiful Grand Cru terroirs in Champagne. SUMI: When you are not working…. LAURENT: I have another passion in addition to wine which is riding my motorcycle, a Harley-Davidson. I love my 883 Iron which I drive with friends through the vineyards and the small roads of Champagne, while sometimes I do drive it out of Champagne as well. For me, nothing is better than to relax and take my motorcycle out for a spin! Ride, enjoy the fresh cold wind falling on my face and soak in the beautiful landscapes from Champagne and elsewhere. LAURENT: 20 years is a very long time, many things can happen. I may be in France or maybe abroad to make another sparkling wine or maybe both of them, I absolutely cannot see that far. But I do have a lot of ideas and I love to seize opportunities when possible, so we’ll see what happen in the future! As of now, very happy where I am…(smiling). The Champagne organization is undergoing a lot of change at the moment. 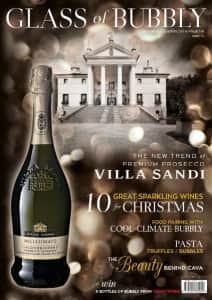 Several big houses are taking control over Champagne, year on year increasing the buying the price of grapes for the winegrower. So, I see that more and more guys in my generation are motivated only to be winegrowers and sell grapes to the big groups. 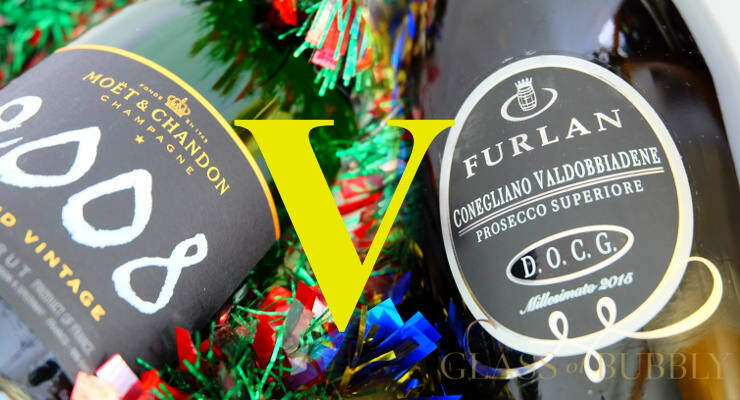 The problem with this is that controlling power gets concentrated with the big groups who become bigger and stronger every year and they will end up controlling all the all the prices and the winegrowers as well in Champagne. At the moment they may make money, but for how long will this last? That is a big challenge for Champagne. For us, we are satisfied with our own vineyards, our own materials and we have full control of all the process from the grapes to the bottle sold. 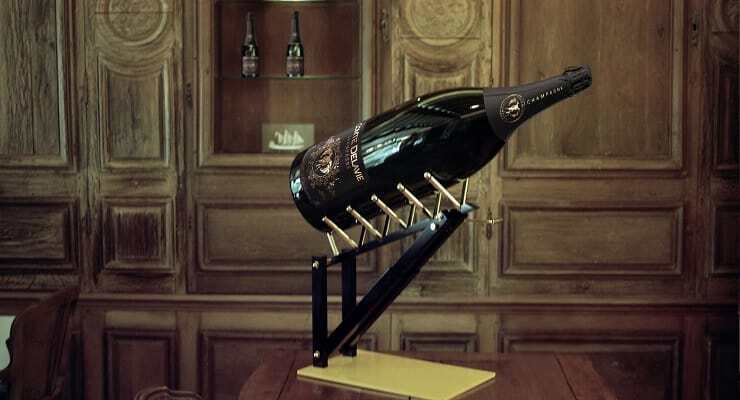 Despite the fact that the big houses are more powerful than us, we intend on continuing to make our own Champagne and I will work hard to find consumers around the world who will want to drink quality Champagnes like ours…That I am already working towards!